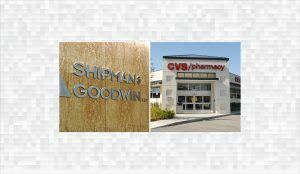 CVS sues for breach of contract over unsold products and brings on board powerhouse law firm Shipman & Goodwin. Shipman & Goodwin is representing pharmacy giant CVS in a Connecticut breach of contract case against a vitamin maker that allegedly failed to buy back unsold products. 100+ sample documents (in print and on CD), created, tested and used by attorney-experts in the discovery process.